Well, here we are in the middle of January already. We haven't seen much of the sun this week, but we have seen a lot of clouds and drizzly rain. It's not even particularly cold, either, so I've set off for my walks with the dog wrapped up against the weather and come home carrying my layers instead of wearing them. 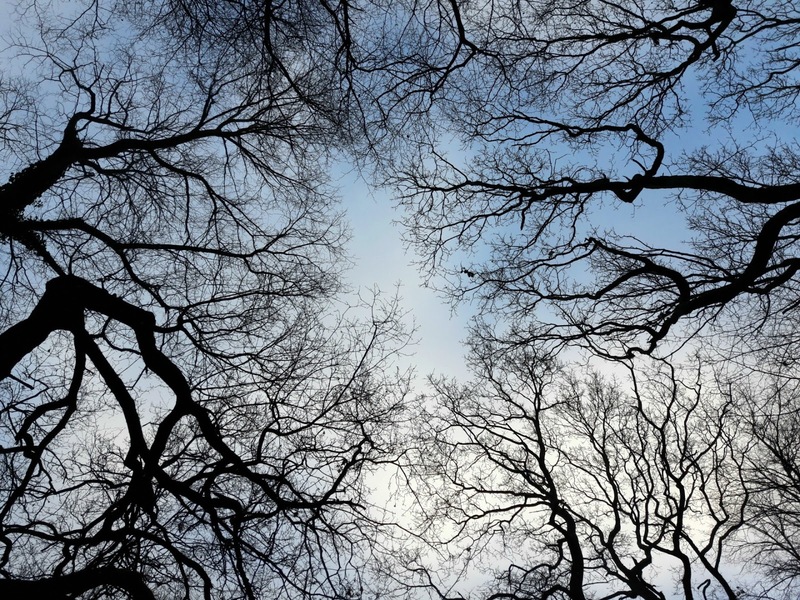 We did see a patch of blue sky on Tuesday - just the one - and for a short while everywhere seemed brighter and less drizzly. Not for long, though. By the time we had left this wood and were on our way home, the dog and I were wet through again. Ah well. 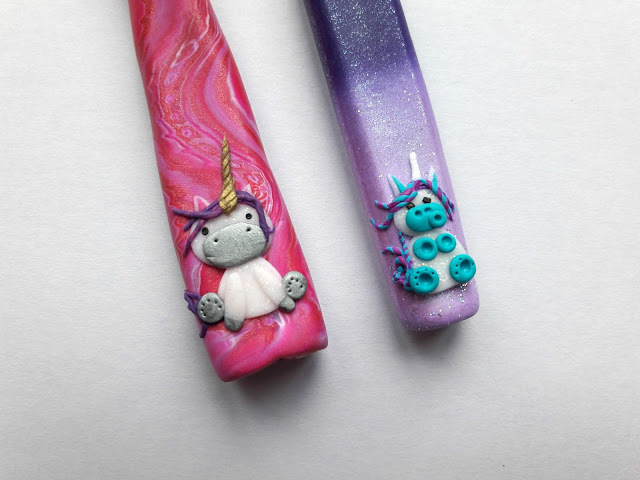 and a seriously cute unicorn. What's not to like? Anyway, because I have realised that I have quite a few skeins of Blacker Yarns yarn that need using up (I'm trying not to keep yarns "for best" because if I get run over by a bus, I don't want my beautiful skeins being thrown out because no one knows what to do with them - it makes sense to knit them whilst I'm still in one piece!) I have not one but two projects in mind. 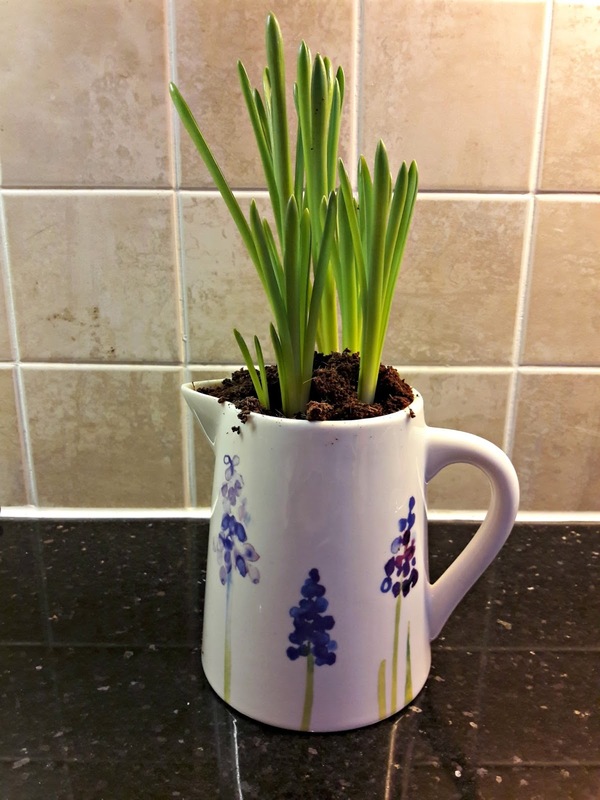 And no, I haven't discovered the secret of extra hours in the day, but I think that if I keep stuffing my day full of things I need to do, then one day the secret might come to me - a bit like pulling the right book out of a shelf to release the magic door behind the bookcase. I can live in hope, can't I? 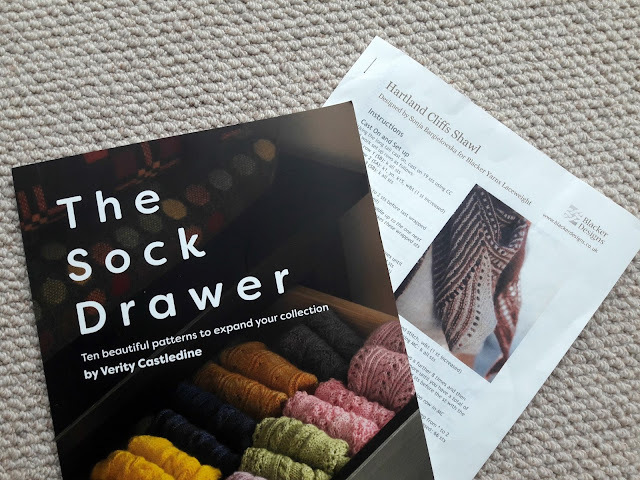 So here are my choices - firstly, from Verity Castledine's beautiful book, The Sock Drawer, which I bought at Yarndale last year. Verity is the talent behind Truly Hooked hand-dyed yarns and has written this book of sock patterns which are a good next step from the basic Sockalong sock. 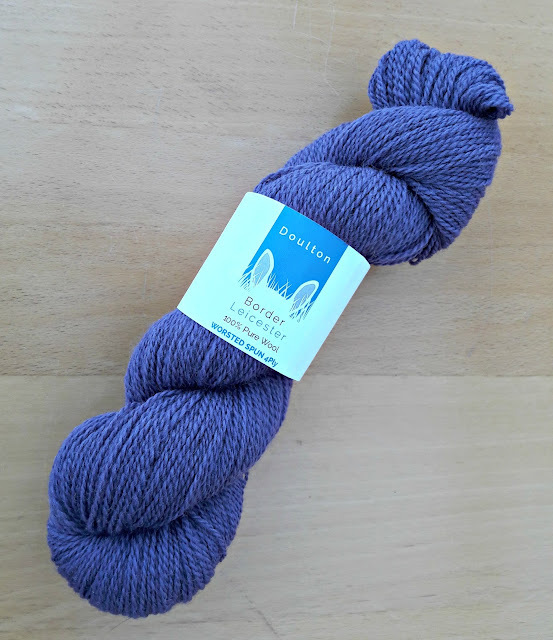 I'm going to choose Arwen from the patterns and I've picked out a skein of Tamar Lustre Blend 4ply which I think will work perfectly. 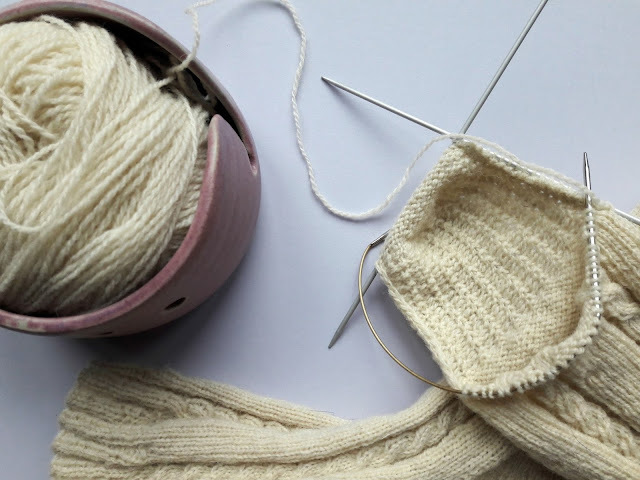 My second choice is the Hartland Cliffs shawl, a free pattern from Blacker Yarns, which I'm going to knit in the St Kilda Laceweight yarn that I also got from Yarndale. This was one of those purchases that I really didn't need to make ... until I saw the shawl in real life and then my credit card jumped out of my purse all on it's own. As it does. The idea is that you have until the Edinburgh Yarn Festival to complete your makes and then you can take them with you to show off (and get a discount off any yarns you might buy to replenish your stock) ... but of course, there's no reason why you still can't join in even if you're not going to Edinburgh, and you can find all the details of the Knit-a-long here. My Moorland blanket, tutorial socks and Knit-a-long projects should keep me quiet for a week or so (or possibly longer ...) so I decided to make the most of a gap in the rain showers to look around the garden today. 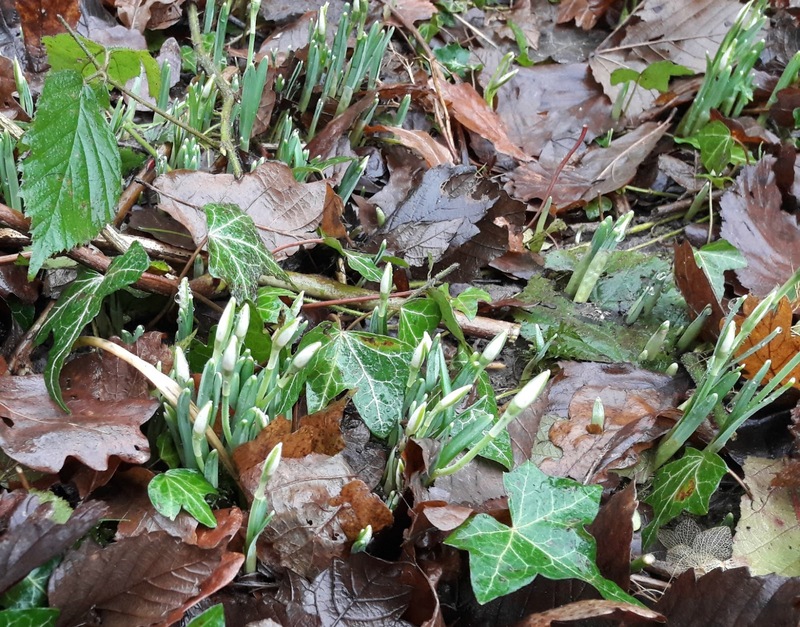 The snowdrops are coming through already, which of course they should be doing as it is January, but I do worry about these delicate shoots if we have a sudden cold snap. Mind you, we haven't really had much in the way of cold all winter so I think they're probably safe enough. Perhaps not these (fool) hardy shoots, though, which have been brave enough to grow in the gap between the steps. The dog has no respect for any of the vegetation in the garden, whether it's grass or flowers, and will do a handbrake (pawbrake?) turn wherever he feels like. I don't know how long these snowdrops will last, but it's lovely to see them whilst they're here! There are also some shoots indoors ... a friend gave me this pretty jug for Christmas which came with some Muscari (grape hyacinth) bulbs. 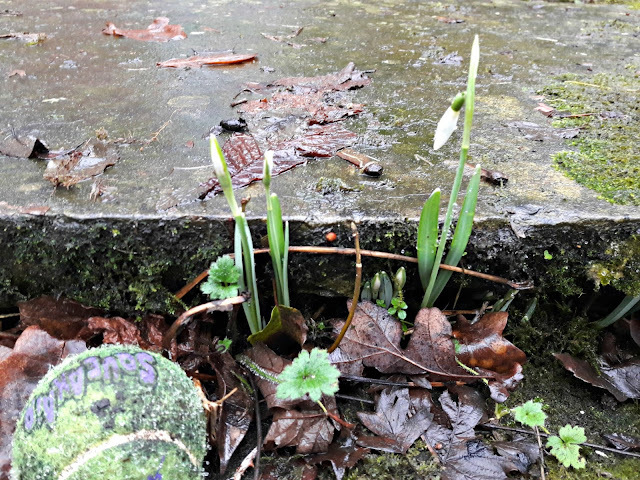 It hasn't taken any time at all for the shoots to come through and I'm really enjoying seeing them - it makes me realise how long the garden seems to have been drab and brown. It doesn't take much to brighten you day sometimes, does it? Have a fabulous weekend. I hope the sun shines for you and all your projects for the weekend go swimmingly well, whatever they are! 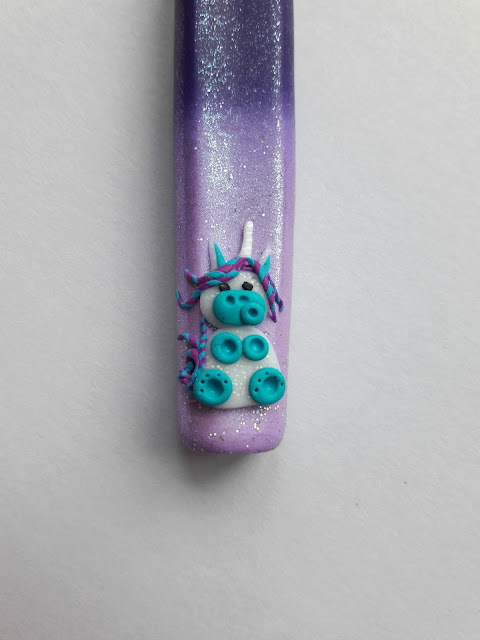 The hooks are fabulous and I love the idea of a sparkle of unicorns! My goodness you have a lot of knitting and crochet on the go! Hope you are enjoying it all and that the videos are not too hard to deal with. 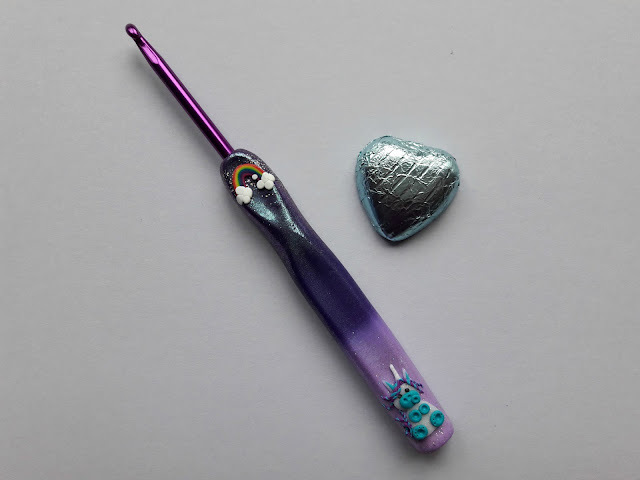 Love your new hook, and the idea of a sparkle of unicorns, how sweet is that! Oh, boy! So many fab things in one post! Thank you so much for kick starting me on sock knitting. I love it! For once the cold weather seems to be in the South East, clear skies, hoar frost even in this London suburb. Not quite as bad in Dorset yesterday, more cloudy, two hours of sock knitting in the car going down. 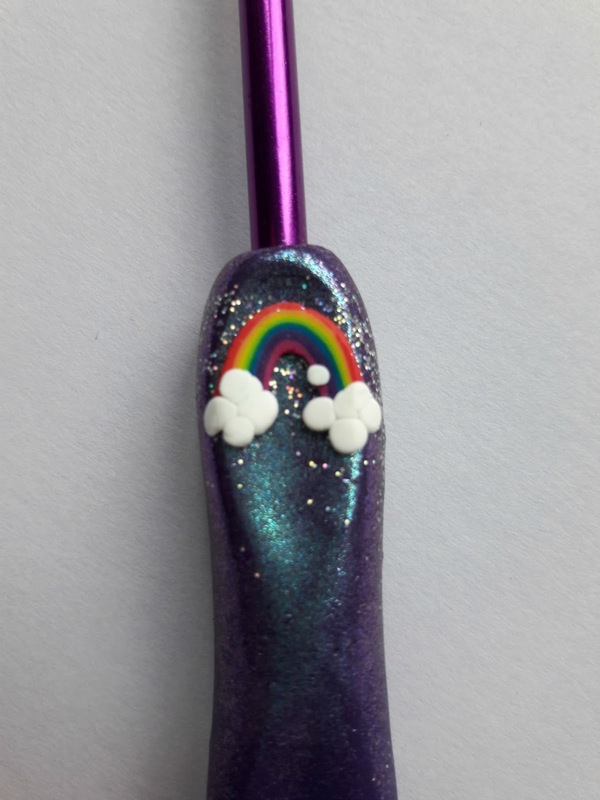 Great unicorn hooks - love them. A group of unicorns is called a Blessing - how cool is that? Oh MY! However will you choose which pattern to make for the KAL? All are gorgeous! Those sheep are adorable. 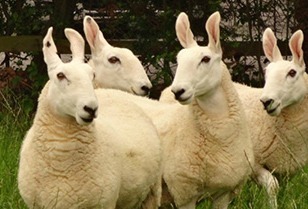 So if they're a cross between sheep and rabbits are they called sheebits? Tsk, tsk.